Director Luca Guadagnino isn't messing around with his remake of Suspiria. Guadagnino and star Dakota Johnson showed a preview of the upcoming movie at CinemaCon, and those in attendance called it "hard to watch," "brutal," and "gruesome." In other words, it sounds like the Suspiria remake is going to be awesome. Johnson revealed last week that filming the horror movie was so intense that it sent her to therapy afterwards. If the preview footage is any indicator, the movie might be sending viewers into therapy as well. Los Angeles Times writer Amy Kaufman tweeted out a description of the Suspiria teaser footage and it's not for the faint of heart. It should also be noted that Director Luca Guadagnino and Dakota Johnson unveiled the footage directly following lunch at CinemaCon. One last warning, even the description of the Suspiria footage is very unsettling. Kaufman had this to say. "Ummm I am traumatized after seeing a scene from Suspiria in which Dakota Johnson controls the body of another woman as she dances. The woman's body literally cracks in half. She is like, torn apart. Spitting, urinating, bleeding. It's... A lot." Fandango was also in attendance and gave a brief overview of the clip, but not as detailed. However, they do note that the audience at CinemaCon was audibly gasping at the sight of the new Suspiria footage. Additionally, they also commented on the a "gentle" melody playing over the carnage, which assumed to be the first listen of Radiohead front man Thom Yorke's score. The description reads. "Luca Guadagnino presented a scene from his #Suspiria remake; there's a 70s sepia tone... and seriously some of the most disturbing body horror. They went for it and the #CinemaCon audience is gasping. Just brutal but with a gentle melody. Holy crap... call me by your bent body." Suspiria is set for release this fall and is set in 1970s Berlin, a time which Luca Guadagnino said provides an extra layer of suspense. The movie centers on a young American ballerina (Dakota Johnson) who comes to train at a prestigious German dance academy and uncovers the school's dark secrets. Guadagnino insists that his version of Suspiria is not a remake. Instead, the director says that it's more of a homage to Dario Argento's original movie. In addition to the teaser footage presented at CinemaCon, Amazon Studios also revealed the first poster for Suspiria. 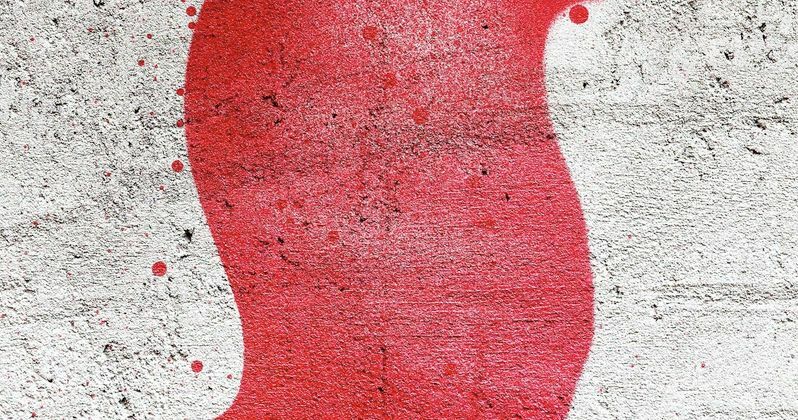 The art is simple with a thick red, letter S in blood on a wall. The design is very simple and gets the point across easily. The art from the Suspiria poster incorporates the works of artist Dan Perri (Star Wars, The Exorcist). Sadly, the footage has not been released online at this time, but it should only be a matter of time before a trailer makes its way online. In the meantime, you can check out the first poster for Suspiria below, thanks to Amazon Studios. Luca Guadagnino presented a scene from his #Suspiria remake; there’s a 70s sepia tone ... and seriously some of the most disturbing body horror. They went for it and the #CinemaCon audience is gasping. Just brutal but with a gentle melody. Holy crap... call me by your bent body.